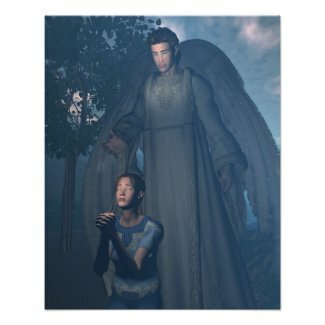 Guardian angel graphics are very popular these days. They grace a wide array of items: calendars, tattoos, clothing, greeting cards, and other types of merchandise. Why are angel graphics so popular? Angels, and especially guardian angels, have appeared in works of arts and crafts through different periods of history: from paintings to prints, and from statues to ceramics. And since a simple drawing is more easily produced, you will find lots of graphics (new and old), depicting heavenly beings. It seems like people derive a sense of comfort from having a guardian angel close by, even if it is only through an artistic representation. 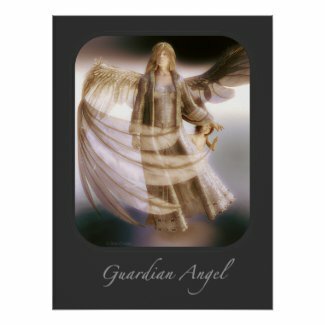 It is as if a guardian angel graphic brings heaven a little closer to our earthly lives. Why guardian angels? We all want to feel guided and protected, and the purpose of guardian angels is to look after us. According to dictionary.com, a graphic is "a product of the graphic arts, as a drawing or print." 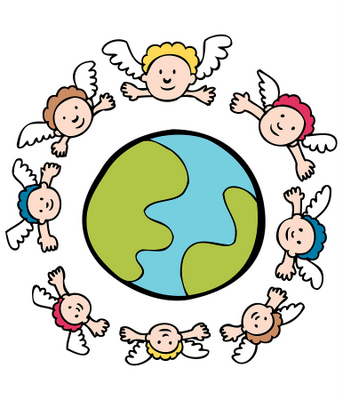 So basically, angel graphics are drawings or prints depicting angelic beings. Computer generated graphics fall under this category as well. Needless to say, any item portraying an angel makes a wonderful gift, especially if the gift is for a collector of all things angel. Angels are never too distant to hear you. 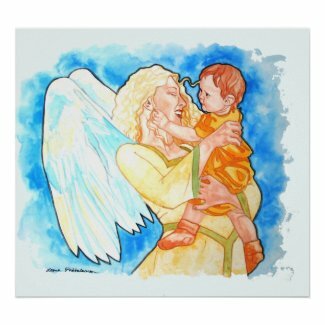 The following items depicting guardian angel graphics are brought to you in affiliation with Zazzle.com. I love this particular picture. Your angel does listen to your prayers. It is so comforting. The picture below is a very simple graphic of a guardian angel. Sometimes, that's all we need: a simple reminder that we are all cared for. Start selling my art prints online at Zazzle. In my opinion, the following picture is very powerful and beautiful. Angels are always nearby, waiting for our prayer. They never intervene in our affairs unless we ask them. You can see angels everywhere: in ray of sunshine, in the smile of a child, in a fiery sunset, in a drop of water, in a whisper of wind... angels are everywhere. 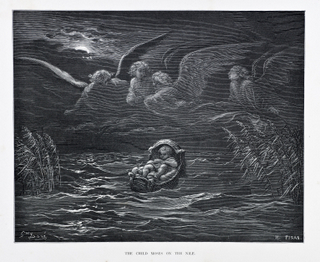 You don't have to wait for Christmas to think about angels. Every season is a season for angels. Angels are beings of love and compassion. They will never judge you. Angels are sparks of love, peace and joy. Is this intuition, or an angel nudging me in the right direction? Angels always know what is in your heart. Angels can lighten up any situation. Angels know how to fun, too. Yes, ask the angels for help in your darkest hour. But also acknowledge them when your heart is bursting with joy. Angels are beings of beauty and love. But they are also beings of wisdom and strength. Guardian angels are with us everything step of the way: they are there when we take our first breath and when we give our last. Angels are our best friends. And many a time, our best friends are angels. Angels are not only made of light, but they are light themselves. Source (quotes in this section): angel-art-and-gifts.com. Visit our angel quotes page for more inspirational thoughts. 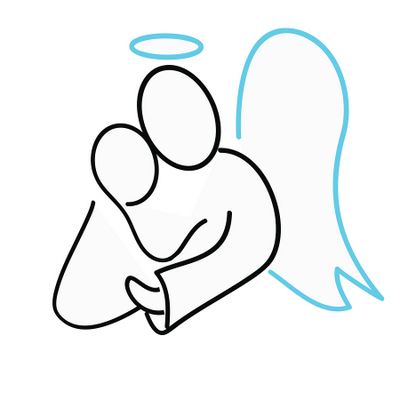 And if you want to see more guardian angel graphics, go to our guardian angel pictures page. And keep checking back as I'll continue to add more graphics.